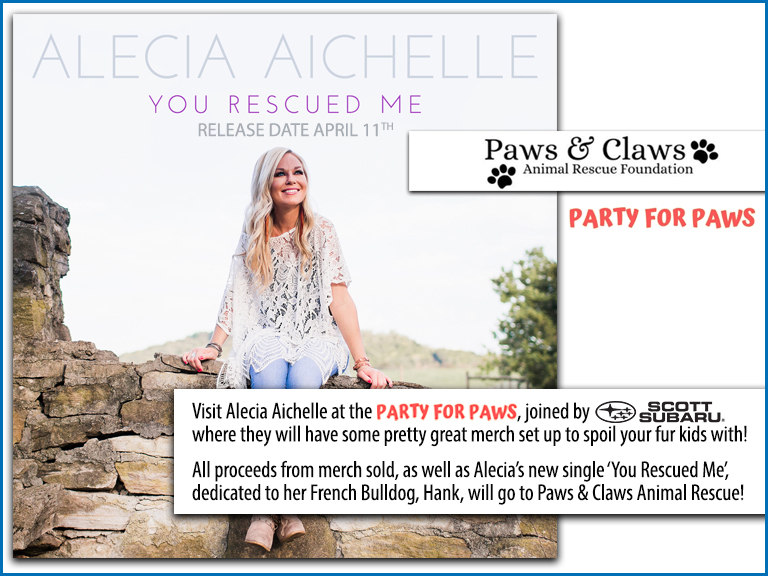 Canadian Country Artist, Alecia Aichelle, will be opening for them with her new single ‘You Rescued Me’, a song dedicated to her French Bulldog, Hank. It is set to be released on April 11th and you can hear it live at the Party for Paws! Scott Subaru will be joining Alecia at her table with lots of great pet merch too. All proceeds from Alecia’s new single, and merch, will go to the Paws & Claws Animal Rescue Foundation! Doors open at 6pm, concert starts at 7pm.